Melt about 1/2 Tablespoon butter over medium heat. Get pan good and hot - fry kielbasa about 2-3 minutes per side or just until nicely browned and edges are beginning to crisp. 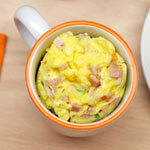 Remove kielbasa from pan, add 2 tbsp. butter and saute pepper, onion and mushrooms until soft and onions are translucent. Remove from pan. Give pan a quick wipe and add 1 Tablespoon butter. 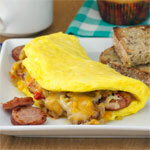 Pour 1/4 of eggs (about 3 eggs per omelette) into pan (again, nice hot pan) and cook first side to your liking. 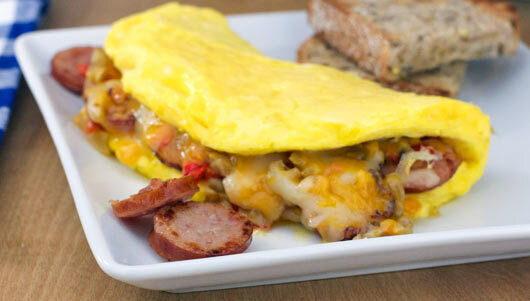 Flip omelette and on one half layer 1/4 of the kielbasa, 1/2 cup mixed cheeses and 1/4 of the veggie saute. 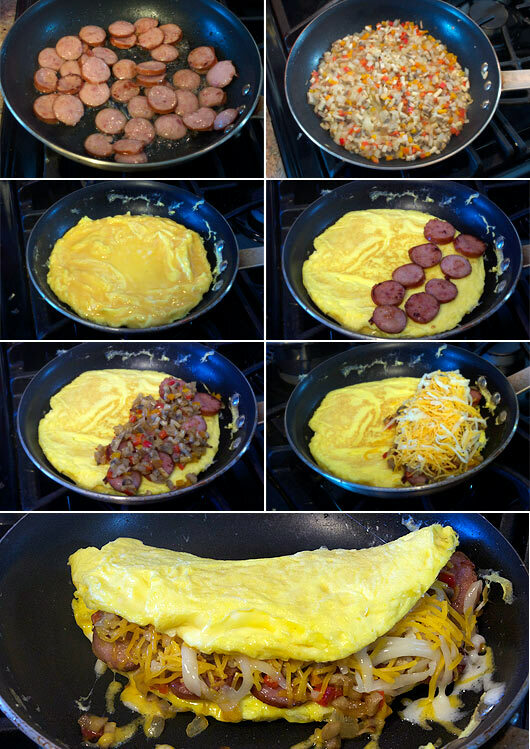 Close omelette. Let cook 1 minute more. Repeat with remaining eggs etc. 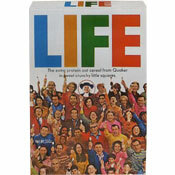 Makes 4 awesome omelettes. 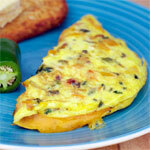 If desired, garnish omelette with raw peppers - diced small and a sprinkle of melted cheese. 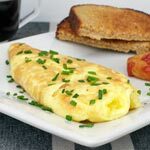 When making this omelette, remember that Kielbasa is pretty salty so you may not want to add additional salt until you taste the finished product. 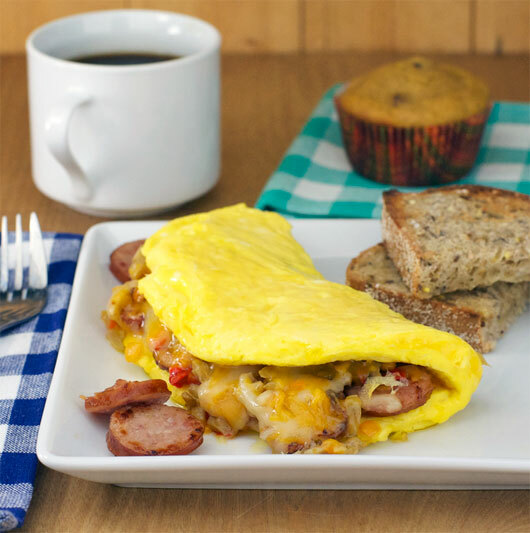 Mr Breakfast would like to thank Jillian for this recipe. 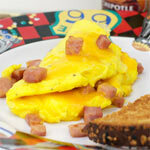 What do you think of Kielbasa Queen Omelette? Delicious recipe. I'm Polish and I loved it. I eat it for breakfast, lunch, and dinner. If they don't have Keilbasa at Wegmans ... go to TOPS.